A No-Bake Ice Cream Sandwich Cake you ask? And our reply is a resounding Yes! 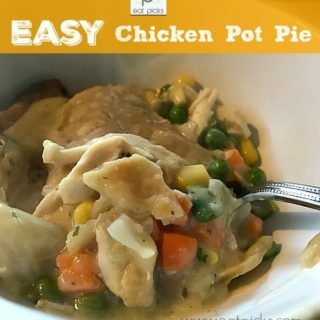 This recipe is so easy you will wonder why you haven’t made it before. 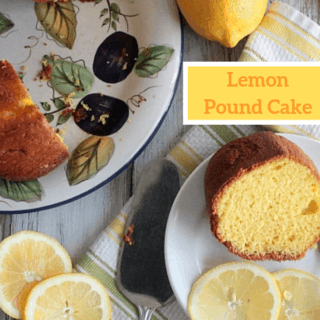 It’s perfect to welcome in the summer because this cake requires one important rule; no oven. This post contains affiliate links. If you purchase through these links, a small commision is earned and goes back to help support this website. Thank you! 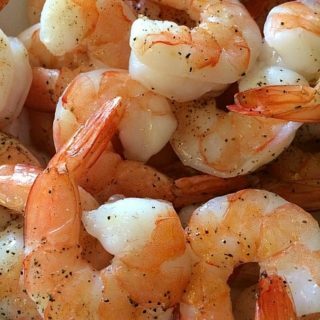 This deliciousness made its way to my heart years ago when a neighbor brought it to a cookout. After desserts were served, I took a small slice of this cake and fell hard. It was so good, I went back to help myself to a second piece and it was gone! I asked for the recipe and was completely surprised that it was made with only 3 items; ice cream sandwiches, Cool Whip, and hot fudge sauce . What? That’s it?! Yep. That’s it. 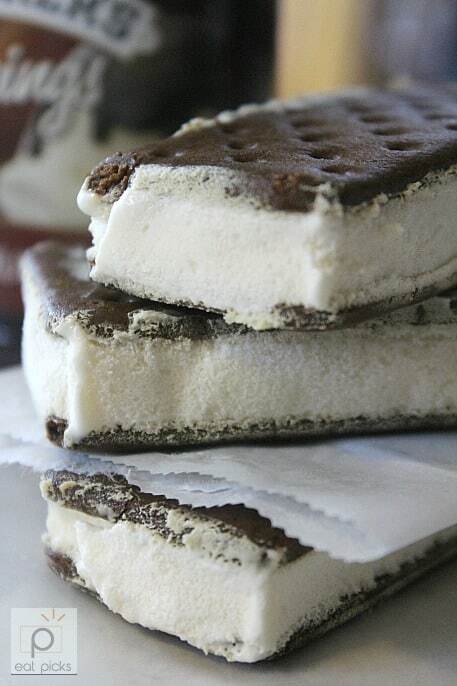 Ice cream sandwiches have come a long way since I was a kid. The only flavor options were vanilla ice cream, unless you were extremely lucky to find the rare ones filled with chocolate. Now you can find not only vanilla and chocolate, but strawberry, mint chocolate chip, cookies and cream, and well, you get the idea. If you are vegan, or have some dietary limitation, there is an option for you too. You can use any square or rectangular pan, but I favor using glass or Pyrex (affiliate link). It allows you to see the layers when you slice into the cake and I think every kitchen should have a set of this bakeware. 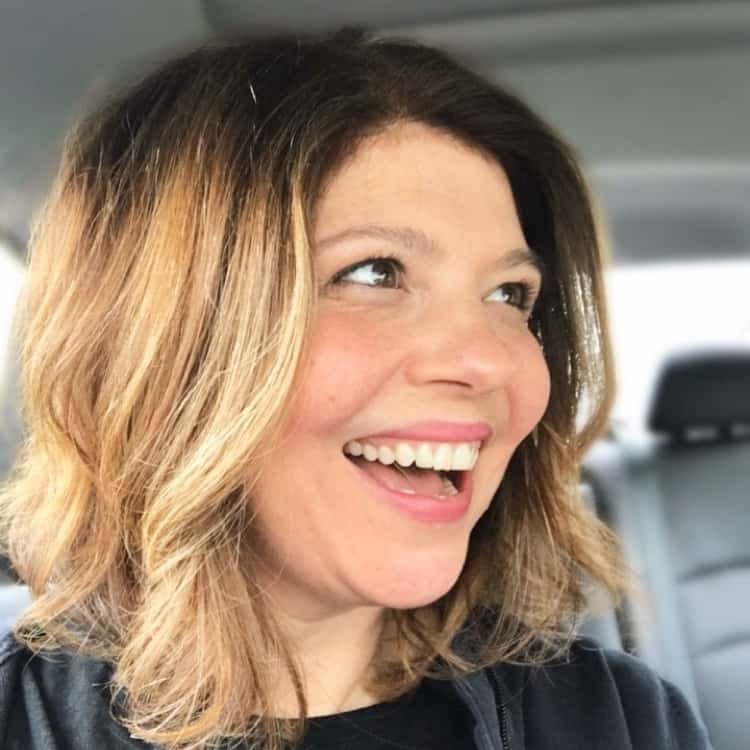 I will share the recipe here written out with photos, but if you want to print out your recipe, there will be an option to do that at the bottom of this post. 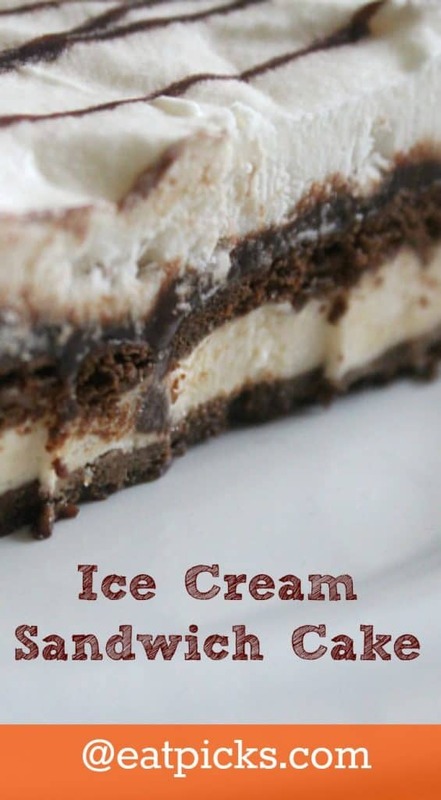 Ready to make No-Bake Ice Cream Sandwich Cake? Yay! 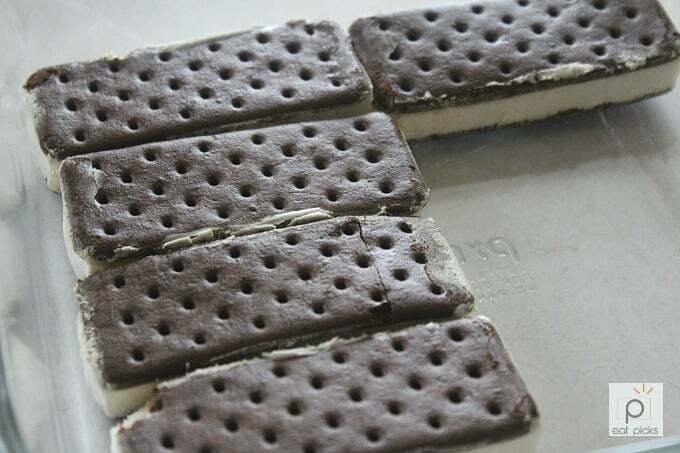 Place unwrapped ice cream sandwiches in square or rectangular dish. It can be any size, (8×8, 9×9, 9×13) depending on how large of a cake you want to make. For this recipe, I used an 8×8 which fits about 8 sandwiches. 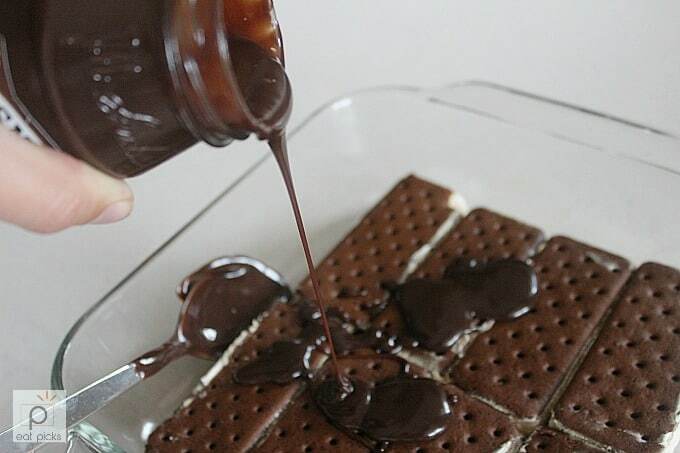 Warm the hot fudge sauce so it can be easily poured from the jar. Spread evenly over top of ice cream sandwiches. Place dish in freezer for 15 minutes so fudge sauce can set. When ready to serve, remove from freezer and top with Cool Whip or homemade whipped cream. For an added bonus, you can drizzle chocolate syrup on top. 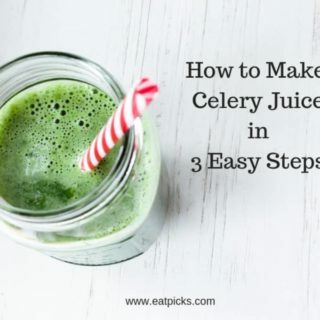 So good, and SO EASY! 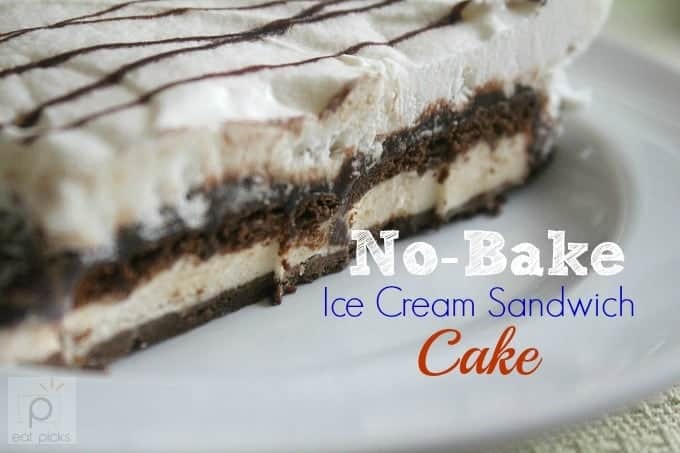 No-Bake Ice Cream Sandwich Cake is super easy and delicious. A great dessert to make for gatherings during the summer or anytime. Full of Ice Cream, chocolate cookie, fudge and whipped cream. Unwrap ice cream sandwiches and place in serving dish. Fill space as best you can. Warm up hot fudge sauce enough to pour on top of sandwiches. Spread sauce evenly over top of sandwiches. Place dish in freezer for at least 15 minutes to set. Can remain in freezer until ready to serve. Before serving, top with Cool Whip or homemade whipped cream. 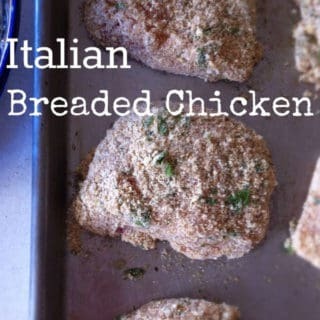 If you like these recipes, please share on Facebook or Pinterest! If you make any of our recipes, please tag them with #eatpicks so we can share your creations!